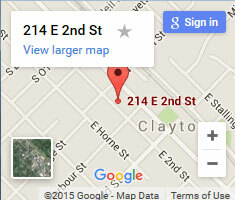 Clayton Hair Salon is also a fully equipped nail salon. Nail stylist Becky Gordon provides expert nail services with the same friendly and welcoming personality Clayton Hair Salon is known for. Keep your nails dry and clean. This prevents bacteria from growing under your fingernails. Prolonged contact with water can contribute to split nails. Wear cotton-lined rubber gloves when washing dishes, or when cleaning using harsh chemicals. Practice good nail hygiene. Using a sharp manicure scissors or clippers, trim your nails straight across. After which carefully round the tips in a gentle curve. Use moisturizer. When applying hand lotion, rub the lotion into your fingernails and cuticles as well. Apply a protective layer. Using a nail hardener might help strengthen nails. Take biotin supplement. Ask your doctor about taking the nutritional supplement biotin. Research suggests it may help strengthen weak or brittle nails. Bite your nails or pick at your cuticles. These habits are not only unhygienic, but they can damage the nail bed. Even a minor cut alongside your fingernail can allow bacteria to enter and cause infection. Pull off hangnails. Carefully clip off hangnails. Ignore problems. If you feel that you have a nail problem that doesn’t seem to go away on its own, or is associated with other symptoms, see your doctor or dermatologist immediately for an evaluation. Use harsh nail products. Limit your use of nail polish remover. If you really need to use one, opt for an acetone-free formula.